"Nightclubbing: The Loft", Jeff "Chairman" Mao, Red Bull Music Academy, 28 February 2018. "Platform presents Martin Beck and Tim Lawrence", Bergen Kunsthall, Norway, 3 February 2018. "From The Loft to the sky: The story of Lucky Cloud Soundsystem", Resident Advisor, 19 January 2018. "The Clubs that Changed Tim Lawrence's Life", i-D, 27 December 2016. "Remembering David Mancuso and the Loft", Document Journal, 25 November 2016. "David Mancuso's Art of Parties", The Wire, 24 November 2016. "The Legacy of David Mancuso by Tim Lawrence", Electronic Beats, 21 November 2016. "Friends and Collaborators Pay Tribute to David Mancuso", The Vinyl Factory, 15 November 2016. "Lucky Cloud Loft Party: Colleen Murphy in Conversation with Tim Lawrence", Test Pressing, 14 June 2015. "Lucky Cloud Loft Party in London", Electronic Beats, Autumn 2014. “From Disco to Disco: New York’s Global Clubbing Influence”. Daily Note, June 2013. "New York Stories: David Mancuso". 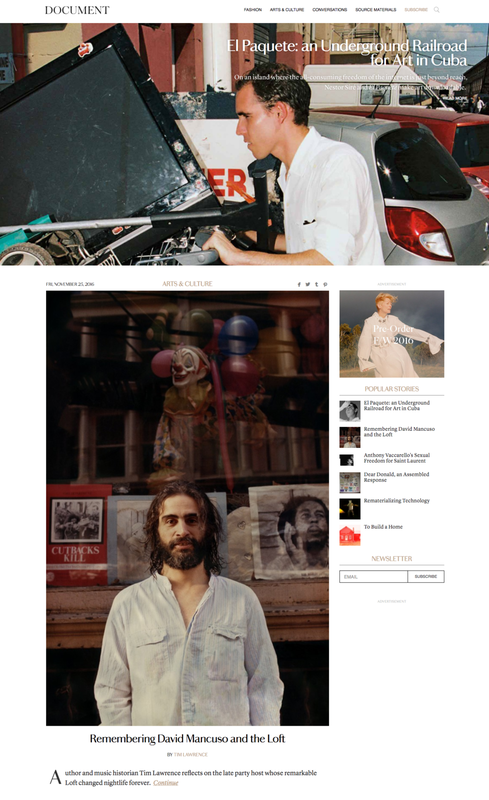 Interview with David Mancuso reproduced in Daily Note, May 2013. “Anfang Loft: The Sonic and Social Legacy of the 1970s”. 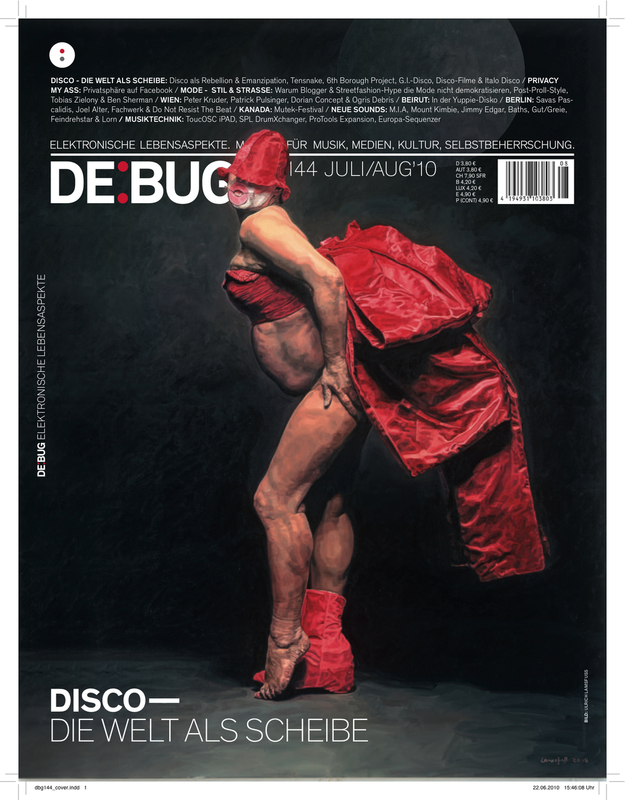 De:Bug, July-August 2010. “Lucky Cloud Sound System". i-D, December 2008. 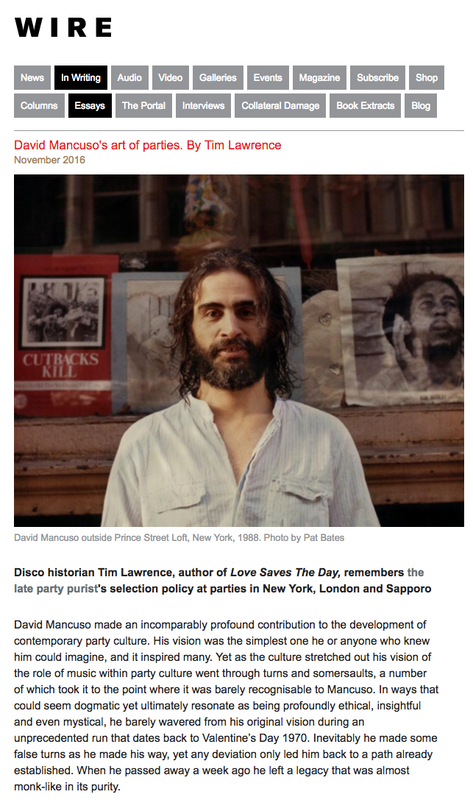 "Love Saves the Day: David Mancuso and the Loft". Placed, 2007. Reprinted in “Party Time with David Mancuso and the Loft”, Loops, 2010. “King of Clubs”. Village Voice, May 2004. “David Mancuso presents the Loft”. Nuphonic Records, 1999.